Welcome Home! Must See this well maintained beauty with beautiful hardwood flooring, Bright & Sunny Living room w/bow window, formal dining room w/decorative chandelier and Updated Kitchen (2016). Cheerful Eat in kitchen with ceramic tiled floor & back splash, granite counter tops, deep double stainless steel sink, dishwasher, built in microwave & new gas range. There is an exterior entrance from the kitchen to a handicap ramp & deck area. Rear yard w/shed. There is a first floor bedroom w/powder room. The second floor has 2 generous sized bedrooms with ceiling fans & double closets. Ceramic tiled Bathroom. 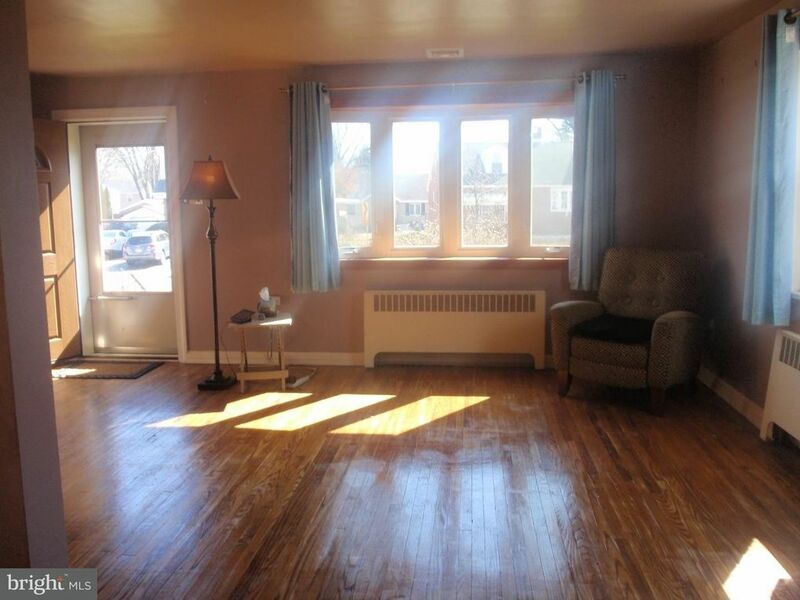 Large Full basement has been waterproofed and offers much potential to be finished your way . There is a separate laundry area & utility room. Updated systems, Central Air, 2 car parking in the driveway, replacement windows through out. Walk to shopping, transportation, elementary school & playground (located around the corner).